Virtualization is growing in IT infrastructures, big and small, is rapidly expanding. Why? Because virtualization technology can allow one physical system to function as multiple virtual systems, which means less hardware required, less cooling demands and increased energy efficiency for your business. AVS is experienced in virtualization technology, having embraced and shared its technological advancements since its inception. The opportunity for small and mid-sized organizations to use virtualization to unleash the under-utilized computer and network resources is significant and growing. 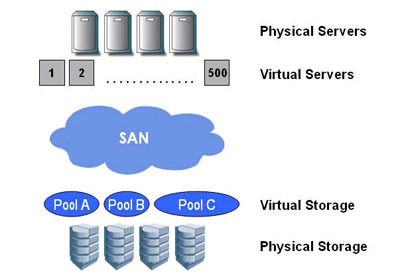 Fundamentally, virtualization lets one computer do the job of many by dividing the resources of a single computer across multiple environments. Virtual servers and virtual desktops allow you to host multiple operating systems and many applications locally and in remote locations, freeing you from physical and geographical constraints. In addition to energy savings and lower capital expenses, you gain high availability, increased security and improved disaster recovery processes. Ask about Virtualization technology to see if it’s right for your business.